As a parent, the holiday season can get you all caught up in determining about what types of gifts you will get for your kids. You know they will be expecting something under the tree for Christmas and ‘Santa’ may need to to deliver in one way or another. If your child is older, he or she may even have a special wish-list prepared. 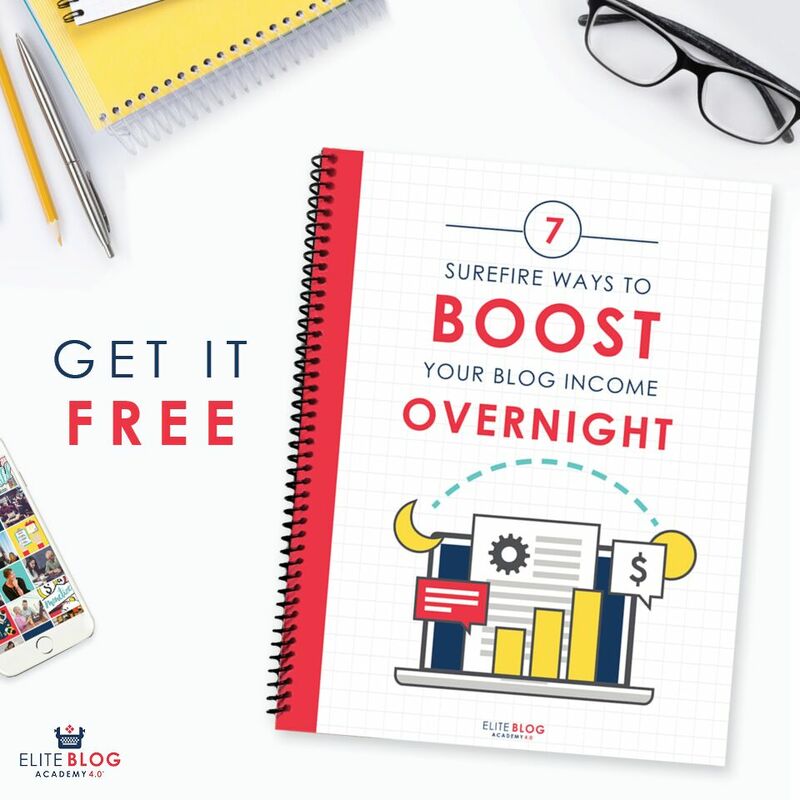 I try to listen to some of my son’s wants around the holiday and also take care of a few needs as well to create a balance while staying within my desired spending limit. While gifts are great, they aren’t the only thing kids look forward to during the holidays. 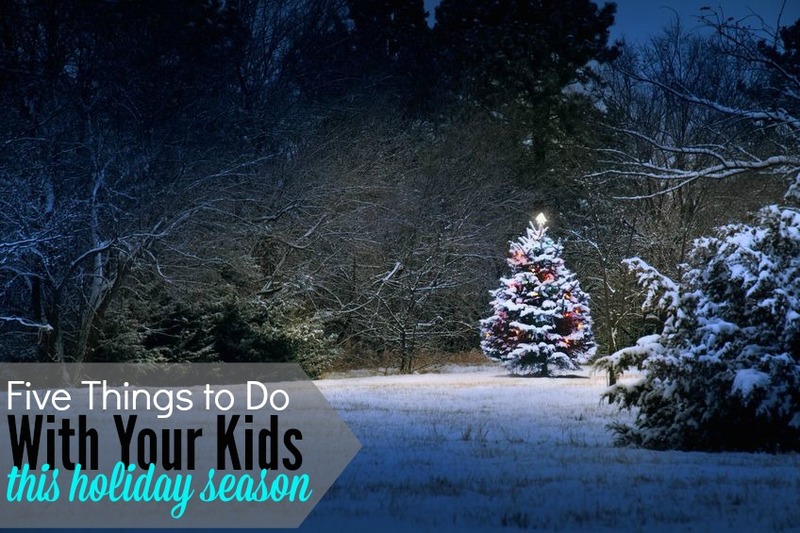 Kids actually look forward to experiences and doing something fun during their winter break just as much as receiving gifts so you shouldn’t put so much pressure on shopping. It’s also important to teach your kids the value of experiences and create some fun memories together this holiday season. 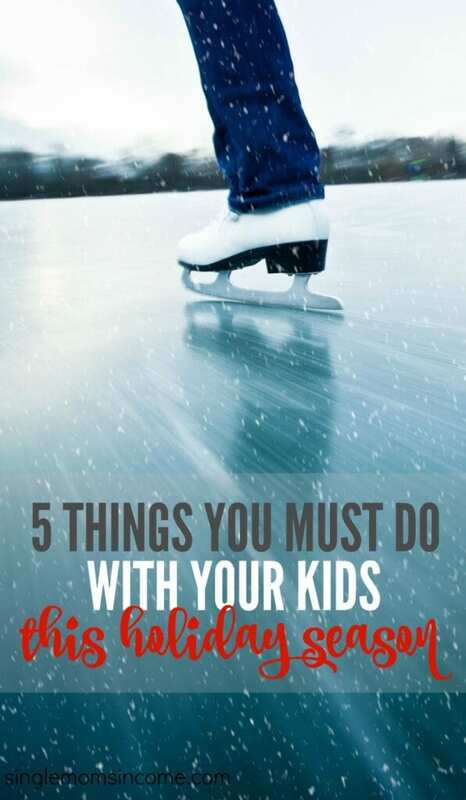 Here are 5 budget-friendly activities you should look into experiencing with your kids this holiday season. Most towns have an annual tree lighting festival in a primary area for all the local residents to enjoy. Larger cities like Chicago, New York City, and Washington D.C. have giant trees in the downtown area that are lit each year on a special day to signify the beginning of the holiday season. A tree lighting festival is a great way to attend a low cost event and kick off the holiday season with your family. Kids will enjoy watching as thousands of multi-color LED lights illuminate the tree. Most tree lighting events are accompanies by a parade or festival with activities, rides, performances and other forms of family-friendly entertainment. Whether your home town is large or small, you will probably locate an upcoming tree lighting festival that you can attend. Making a gingerbread house is a fun way to bond with your kids by creating something that you can either eat later or put on display in your home. Gingerbread house kits include everything you need to create a mini candy house including the gingerbread for the structure of the house, the sweets, icing to help stick assemble everything, and detailed directions of course. Gingerbread houses are sold at most grocery stores and some craft stores and they’re usually less than $10. Doing something as simple as baking cookies and watching a holiday movie with your child can create some long-lasting memories and traditions that they will look forward to each year. Some of our favorite movies that we look forward to watching in December are Frosty, Frozen, and Rudolph the Red Nosed Reindeer. You can rent movies from your local library or find a ton of holiday movies this time of year airing on television or on Netflix or Hulu. There are plenty of ways to help serve people in need this holiday season. You can start teaching your child about service and giving back early by getting involved in your community and volunteering your time and talents for an event or cause you care about. You can start by contacting local organizations and churches to see if they need help with any events. You can also search online for charities or annual events that still need volunteers to sign up. From feeding others a holiday meal or spending time with seniors at a nursing home to sponsoring a child for Christmas, there are so many ways you and your child can volunteer and make a different in someone’s life this holiday season. Volunteering can make a significant different in your child’s like and experiencing something so unique and meaningful might end up helping you both just as much as it helps the person on the receiving end of your volunteer work. Ice skating is something everyone should try at least once. If you have older kids, you might want to see what options are available in your area so you can spend a fun afternoon together on the ice. You don’t have to live in a snowy area to enjoy some ice skating. There are plenty of outdoor and indoor ice skating rinks all over. Outdoor ice skating will usually be cheaper and maybe even free aside from the skate rental. You can check on Groupon.com to see if they are offering any discounts for ice skating in your area. Just remember, gifts are not going to allow your family to truly enjoy and cherish the holiday season in the long run. It’s great to budget and prepare for holiday shopping and spending, but establishing traditions and memories will last longer than any gift your child receives. What are some of your favorite activities to do during the holiday season? Love this – especially volunteering together! It is so important to teach children what the holiday season is really all about. We haven’t done a Christmas tree lighting ceremony yet, so I am going to add that to the list for this year. Thanks for posting. You definitely should! Kids love it and it’s a great way to kick off the holiday season. These things sound so fun! Some of these will have to wait until the beans get a bit older, but some of them we’ll definitely do this year. Yes they are growing up fast! My daughter loves decorating cookies every year. We may have to try the Gingerbread house now that she’s a little older. Making a gingerbread house is a big tradition for us every year. I’m not that crafty so it’s trickier than it looks but still fun and we get better at it each year.